JEAN L. FRENCH is the daughter of a logger and a poet with the heart of a naturalist. The poems in Watershed reflect the push-pull between her two worlds, simultaneously celebrating and mourning the forces that shape life in the woods of Northern California. 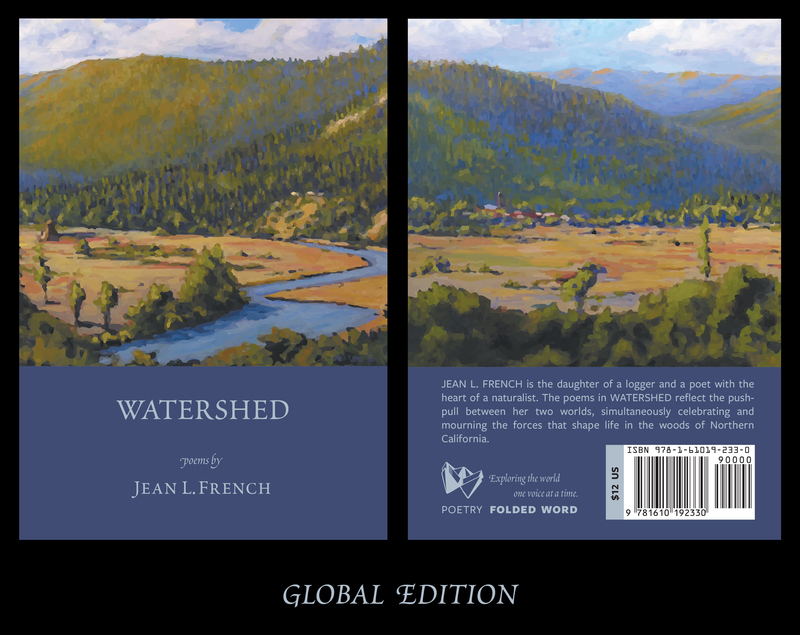 Watershed is available in a global print edition paperback, distributed by Ingram through most online booksellers. Search ISBN 9781610192330 to order or special order from your favorite bookseller. A few copies are still available for purchase directly from the Folded Word shop while supplies last. Pre-order sale: single copy $9, 3-pack $24. Read excerpts or post a review on Goodreads. Jean L. French was born in a sawmill camp in the coastal mountains of Northern California. She has resided in Northern California, on the North Coast, and in the high desert of the Sierra Nevada for most of her life. In 1995, she earned a master’s degree in English from the University of Nevada, Reno, where an eco-feminist literature class did much to shape her thinking when she began to write poetry later. French moved to Las Vegas, Nevada, in 2003 to take a full-time teaching position at the College of Southern Nevada, where for five years she was the poetry editor for Red Rock Review. She is also the author of Paean (Finishing Line Press, 2005). Now retired from teaching and at home once again in northeastern California, French writes a gardening and cooking blog which can be found at www.GardenForestField.com.